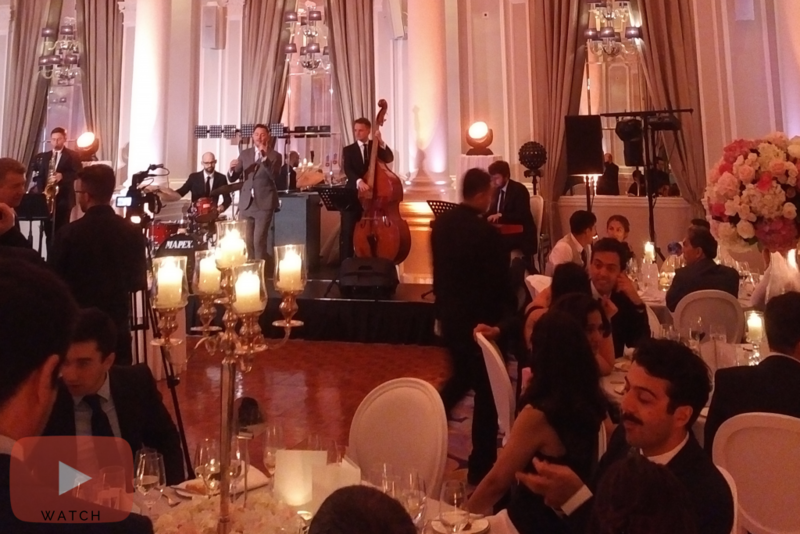 We were back at Corinthia Hotel London this month for another incredible wedding party! The wedding couple booked a full line up of fantastic live music, starting with string quartet, ESQ, performing classical repertoire during the ceremony which took place in the stunning Courtroom. The Dream Big Jazz Band were next to perform in the Ballroom, during dinner. They performed mostly Rat Pack repertoire, plus an original reworking of Coldplay’s ‘Green Eyes’ for the wedding couple’s first dance. Finally, the wedding party danced their way into the early hours with music provided by DJ Zulu, who played a mix of Iranian music and commercial RnB. For this wedding, we also provided the DJ booth and lighting! If you’re looking for wedding music for your wedding day, get in touch! Click HERE to contact us. 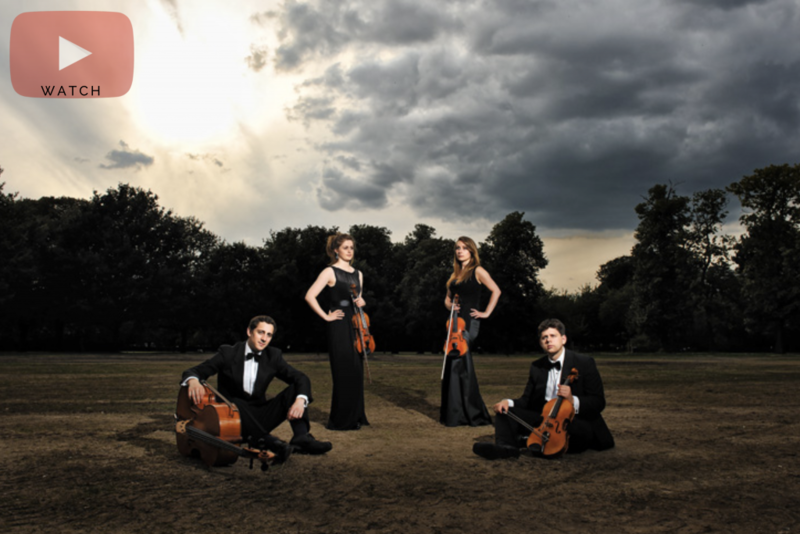 We can provide string quartets, jazz bands, DJ’s, party bands, solo musicians and plenty more! We can also provide lighting and audio equipment if required. Corinthia Hotel London is a truly beautiful wedding venue set in the heart of London. If you’re interested in finding out more just click HERE.